Have a question? It's possible someone has already asked it. Find your answers here or Contact Us if you still have a question. How do I get started with Internet Banking? Under “Internet Banking Login,” click on the “New user? Setup Internet Banking” link. You will be asked to enter your social security number, SPIRE account number and email address. Please note, this information must relate to the primary member listed on the account. Verification will be sent to the primary email address. You will have 1 hour to click the link provided in the email. Next, you will be requested to set up a user name (SPIRE Internet Banking ID.) After submitting, you will be issued a temporary password. Finally, you will enter the temporary password and choose a new password and verify it. From there you will be prompted to choose a security image, new password and set security questions. How do I log into the SPIRE Mobile App? The SPIRE Mobile app is available for download on the Apple App Store and Google Play. After the application has been installed on your phone, enter your same credentials (username and password) as you do for SPIRE Internet Banking. You must first setup Internet Banking to use the Mobile App and make Mobile Deposits. How do I make purchases with my mobile phone? Download the SPIRE Mobile app to your mobile phone and log in. Go to your phone's settings and click on Wallet. 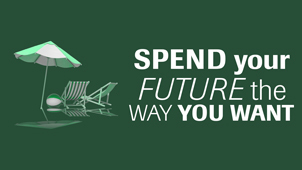 Follow the prompts to add your SPIRE Visa Credit and/or Debit card. You may be asked to verify your identity by calling SPIRE. Don't worry - we can help! First, follow all of the steps recommended by your service provider for a lost or stolen device. Then, call us at 651.215.3500 for assistance. Since SPIRE Internet Banking and Mobile app are password protected, your accounts should stay safe. How do I reset my username or password for Internet Banking? For security reasons, you will need to stop into a SPIRE branch or call 651.215.3500 for assistance. We'll be happy to help. What if I forgot my mobile app password? 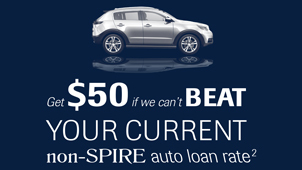 For security reasons, you will need to stop into a SPIRE branch or call 651.215.3500 for assistance. What if I can't get into my account via SPIRE Mobile App. If you have made multiple attempts to log on and you are denied access, your account may have been locked for security. 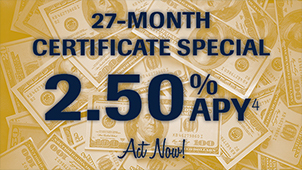 Call us at 651.215.3500 to unlock your account. Why am I getting pop-up warnings? If your device doesn’t allow for pop-ups, you will need to select “allow for pop-ups.” This may occur more frequently after you’ve done an update to your device. How do I know I am downloading the real SPIRE Mobile App? It's important to download mobile apps from reputable sources only. Make sure SPIRE Credit Union is listed as the app publisher or seller in the Apple App Store, or Google Play. You can also download the app directly from our Mobile & Internet Banking page. Log into SPIRE Internet Banking. Select ‘Services’ from the top menu. Click on ‘eStatement Enrollment’ and follow the prompts. eStatements are free and you can switch back to paper statements at anytime. 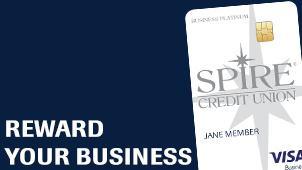 How do I manage my SPIRE Visa® Credit Card in Internet Banking? Once logged in, select the ‘Visa Online’ tab from the top menu to view transactions and statements, make a payment, or manage reward points as applicable. Why should I update my Mobile App when prompted? SPIRE will continue to update the app for enhancements, performance improvements, and security updates to enhance your experience. You will likely be prompted to make these updates, but you can also check your device or app store for notices about version updates. If an update is available, follow the simple instructions. In addition, SPIRE will notify you of major updates. How do I change the charitable organization that benefits from my SPIRE Visa purchases? ®Log into SPIRE Internet Banking. Select the Give Back tab. Select a different organization from the dropdown list. For more information about each of SPIRE's partner organizations, visit the Give Back page. Is the SPIRE Mobile App free? Yes! Learn more about the app and download it at our Mobile & Internet Banking page. Can I use BillPay with the SPIRE Mobile app? Yes, but you must be enrolled in SPIRE BillPay first. BillPay will show as a menu item on the app. 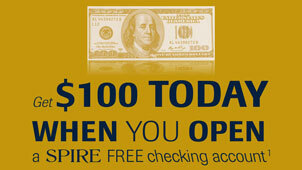 Log into SPIRE Internet Banking. Click on the Bill Pay tab and follow the prompts. Can I change my Internet Banking password myself? Yes, you can change your password under the ‘Settings’ tab. Is my personal information safe with the SPIRE Mobile app? Yes. Your personal information is safe with us. We use the most advanced encryption and monitoring technology and secure your accounts with your unique username and password. Your personal banking information is not stored on your phone. Fingerprint and facial recognition are also available if you choose. Note: Your login credentials are the same as your Internet Banking username and password. How do I get my eStatement? You will get an email notification when your eStatement is available. For security purposes, you will need to log into SPIRE Internet Banking to retrieve your eStatement. Once logged in, select the ‘eStatement’ tab from the top menu. Up to 18 months of eStatements are stored for your convenience.